ROCKLAND, Maine — September 18, 2012 — A 37-year-old Friendship lobsterman will spend 45 days in jail after pleading guilty Monday to reduced charges stemming from a December shooting on a dock over the cutting of traps. The agreement, which reduced the felony charges to misdemeanors, was opposed by the victim in the case, the prosecutor acknowledged. James R. Simmons was sentenced Monday in Knox County Superior Court to 364 days in jail with all but 45 days suspended for criminal threatening and reckless conduct. He received lesser concurrent sentences for two counts of possession of oxycodone and violating a condition of release. Simmons was charged originally with felony counts of criminal threatening with a dangerous weapon and reckless conduct with a dangerous weapon. According to witness statements and an affidavit filed in December by Deputy James Moore of the Knox County Sheriff’s Office, the victim said he arrived at Wallace’s Lobster Wharf on Dec. 4 and saw James Simmons. The victim said Simmons ran back to his truck, came out with a rifle and fired at him. Simmons also yelled to the man that he would soon kill him, according to the affidavit. The victim was not struck. The victim claimed that Simmons accused him of cutting his lobster traps, a claim the victim denied. A search of Simmons’ truck the following day found both live ammunition and spent casings along with oxycodone pills. Assistant District Attorney Christopher Fernald acknowledged that while the victim in the case was not happy with the decision to reduce the charges, the victim initially said he could live with the agreement. Fernald said, however, that the victim was at the courthouse earlier Monday and said he opposed the charges being dropped from felonies to misdemeanors. GLOUCESTER, Mass. – September 18, 2012 — The Gloucester Fishing Community Preservation Fund has retained Scott Harshbarger, the former Massachusetts Attorney General and national president of Common Cause, to conduct an independent assessment of the governance, policies and operations of the five year old organization. 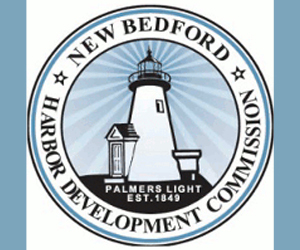 The nonprofit Fund, which since its founding in 2007 has worked diligently to safeguard and enhance the economic engine of Gloucester and Cape Ann, asked Harshbarger to perform a rigorous, independent review to fully address questions and insinuation raised regarding potential conflicts of interest or an appearance of a conflict, among its board and leadership and the Fund’s relationships with other like-minded organizations. As part of his independent review, Harshbarger has already begun analyzing internal operations of the Fund and interviewing Board members. The review will also include interviews with community leaders and others in the fishing community. The Gloucester Fishing Community Preservation Fund was created in 2007 to oversee a fishing permit bank to benefit the historic and vital economic mainstay for Gloucester and Cape Ann. The proponents for two offshore liquefied natural gas terminals were directed by the Commonwealth to fund the novel community permit bank concept with $6 million each ($12 million total) as a condition of the necessary Massachusetts Department of Environmental Protection permits. PORTSMOUTH, N.H. — Sept. 14, 2012 — Seacoast fishermen are just beginning to sort out the potential impacts of the U.S. Department of Commerce's declaration of a disaster for the Northeast commercial fishing industry. On Wednesday, acting Secretary of Commerce Rebecca Blank issued fishery disaster determinations in the Northeast, Alaska and Mississippi. According to the National Oceanic and Atmospheric Administration, the declarations pave the way for Congress to appropriate money toward alleviating the financial hardship caused by the disaster. "If money is appropriated, NOAA will work closely with Congress and the states to develop plans to preserve coastal communities," the statement said. In New England, despite fishermen's adherence to strict catch limits, several key fish stocks — most prominently cod — in the Northeast groundfish fishery are not rebuilding according to NOAA and further cuts are expected in 2013. In a letter from Blank to Gov. John Lynch, the Department of Commerce official said she became "deeply concerned" about potential impacts to Northeast fishermen and fishing communities after reviewing information available on the potential catch limits for 2013. "The Department of Commerce and the National Oceanic and Atmospheric Administration will continue to engage with the New England Fishery Management Council and the fishing industry in advance of the 2013 fishing year to explore all possible options to mitigate these impacts," she wrote. "However, it seems unlikely that all economic impacts can be mitigated solely through fisheries management measures." 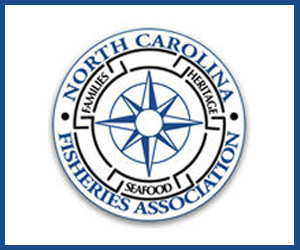 Politicians hailed the disaster declaration as providing much-needed relief to fishermen and communities affected by lost revenues and fishery management decisions. At the urging of U.S. Senators Charles Schumer, Kirsten Gillibrand, and Congressman Tim Bishop, the U.S. Department of Commerce today declared a federal groundfish fishery disaster for New York's fishing communities. The lawmakers requested emergency relief after a recent preliminary report projected significant cuts–up to 70 percent– in catch limits for New England groundfish stocks in 2013. These cuts to multispecies fishery, such as cod and yellowtail flounder, would harm Long Island's businesses and fishermen, who are already struggling and being squeezed by catch limits and tighter regulations. This move by the Department of Commerce allows Congress to appropriate funding to ease the hardships faced by New York's fishermen. In August, Senators Schumer, Gillibrand and Congressman Bishop wrote in a letter to Acting Secretary Rebecca Blank, "We write to express strong support for a Northeast Multispecies groundfish fishery disaster declaration to be issued for Northeast fishing communities, including those in New York… It is vitally important that New York is included in any disaster declaration and that our fishing communities are provided with sufficient disaster assistance to stem the adverse economic effects of potentially devastating cuts to already reduced catch limits and years of restrictive management measures. While recent reports have focused on New England states, we must emphasize the harmful impact these potential reductions will have on New York." "Senators Schumer and Gillibrand and Cong. 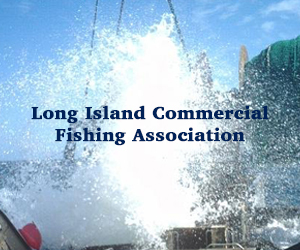 Bishop have fought to keep New York's groundfishermen viable in this disaster declaration process, and have not allowed our lack of fishery council representation to silence the needs of our fishing communities," said Bonnie Brady, Executive Director of the Long Island Commercial Fishing Association. "We are grateful for their voices as the bridge to disaster relief for all ground fishermen." The lawmakers pushed to include New York in a federal fishery disaster declaration, noting that New York's fishing interests in New England stocks are often ignored due to its underrepresentation on the New England Fishery Management Council (NEFMC). 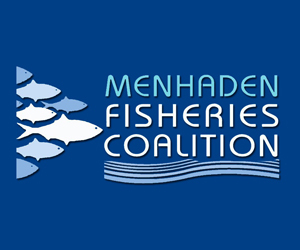 Many of New York's fish stocks are regulated by this council, which will weigh in later this year on catch limits for 2013. 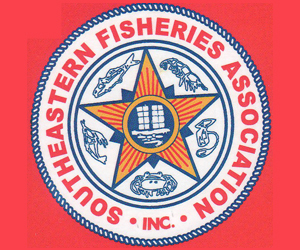 September 13, 2012 — Acting U.S. Secretary of Commerce Rebecca Blank declared a commercial fishery failure in the Northeast groundfish fishery for the May 1, 2013 fishing season, the National Oceanic and Atmospheric Administration announced Thursday. The declaration makes it possible for Congress to appropriate money to relieve the financial hardship to fishermen caused by the fishery disaster. If money is appropriated, NOAA will work closely with Congress and affected states to develop plans to assist coastal communities. In the past, local fishermen view the declaration with mixed results. Many believe NOAA’s data is incorrect and overdramatized because figures are not reflected with what they see on the open ocean. Many fishermen have already stated that they do not want a handout, just the opportunity to fish. Much of the Rhode Island fishing community are members of the American Alliance of Fishermen and their Communities and the Rhode Island Fishermen’s Alliance. Richard L. Fuka, president of the alliance, declined comment on the news until receiving more detailed information. Gov. Lincoln D. Chafee issued a request to the U.S. Department of Commerce, seeking the declaration on Aug. 24. The following day, the state’s four Congressional delegates followed suit. 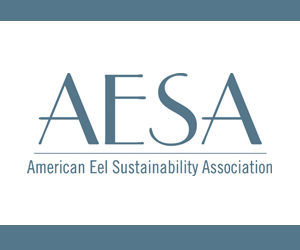 AUGUSTA, Maine — September 13, 2012 — Maine’s congressional delegation is welcoming a decision by the U.S. Department of Commerce declaring a disaster for the New England multispecies groundfishery for the 2013 fishing year. A statement by Sens. Olympia Snowe and Susan Collins and Reps. Mike Michaud and Chellie Pingree says they’re encouraged by the disaster declaration, which acknowledges that Maine’s fishermen are facing new and unprecedented challenges. The decision enables Congress to appropriate funds to assist Maine’s fishermen, as the fishery is not recovering as quickly as expected despite the industry’s compliance with rigorous fishing limitations. Gov. Paul LePage requested the disaster declaration last November. PROVIDENCE, R.I. — September 13, 2012 — Rhode Island Gov. Lincoln Chafee (CHAY'-fee) says the federal government’s disaster declaration for New England fisheries will provide badly needed help to the state’s commercial fishing business, which is facing huge cuts in catch limits for species including cod, haddock, and yellowtail flounder. The declaration, announced on Thursday, opens the door for tens of millions of dollars in relief funds for fishermen, although it does not guarantee it. Chafee was one of several federal and state authorities to ask the Commerce Department to declare a disaster in the region. Read the full story from the AP here. New Bedford, Mass. — September 13, 2012 — The governors of four New England states are asking the federal government for $100 million to provide immediate disaster relief for commercial fishermen. 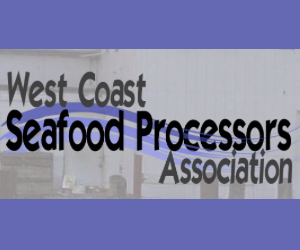 Recent estimates of key groundfish stocks are so low that the catch limits for the next fishing year, which begins May 1, may force many fishermen out of the industry. On Wednesday, the governors of Massachusetts, Rhode Island, New Hampshire and Maine sent a letter to the leadership of the House and Senate stressing the need for urgent action. "Our fishermen cannot afford to wait any longer for critical economic assistance," the governors wrote. 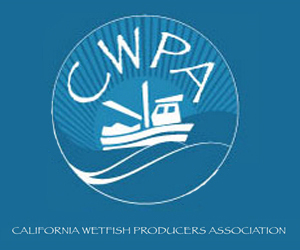 Cuts of 70 percent and more for species such as cod and haddock are projected for the 2013 fishing year. In August, the Massachusetts congressional delegation called for a disaster declaration on behalf of New England fishermen. The decision rests in the hands of the Secretary of Commerce, according to Richard Sullivan, secretary of the Massachusetts Executive Office of Energy and Environmental Affairs. "We think we have provided more than enough science and data to have that declaration made," he said. Rebecca M. Blank is currently the acting Secretary of Commerce. Blank took over in June when former Secretary John Bryson resigned, citing health problems. A draft proposal, recently circulated by Sen. John Kerry's office, outlined the relief measures sought. Around $67.5 million would go to provide economic assistance, including funds to retrain fishermen who lose their livelihoods. The balance would help the industry cover the cost of onboard observers on fishing boats and towards funding more cooperative research. "We've got a great team effort going with the governors. It's a full-court press right now," Kerry said in a statement Wednesday. "Their push strengthens my hand to make the case in Washington," he said. Kerry said he is working on a similar letter with Sen. Olympia Snowe, R-Maine, and members of the congressional delegations. "Our fishermen didn't cause the problem and they need our help to get through it," he said. However, Dartmouth's John Haran, who manages Sector XIII, a group of groundfish boats with members from New Bedford to Greenport, N.Y., said fishermen are not looking for money. "I was at the listening session that John Bullard had in Point Judith last night," he said. Bullard, the National Oceanic and Atmospheric Administration's new regional administrator, has been meeting with fishermen in New England ports to hear their views. "No fisherman there asked for money," Haran said. "They just want the problem fixed." The problem, he said, is "poor science and overregulation." In a statement, John Donnelly, a spokesman for Sen. Scott Brown, said the senator believes the solution is "to fix the root cause of the problem — firing Administrator (Jane) Lubchenco, improving the science and the data collected, and reforming the NOAA policies that created this crisis." September 12, 2012 — Nearly 10 months after Gov. Deval Patrick filed socio-economic studies to show the federal government the groundfishery was in calamitous decline — caused in part by one of its own agency’s policies — he and three other New England governors announced Wednesday they are asking Congress for $100 million in aid for the industry. The written request from Massachusetts, Maine, New Hampshire and Rhode Island was made explicitly “contingent” on the U.S. Commerce Department’s acknowledgement that the fishery over which it has presided for nearly four years has devolved into a state of economic disaster — something the Obama administration has refrained from doing. The catch share program for the groundfishery— a system that encourages buying selling and trading of fishermen’s quota or catch shares as financial commodities — was the brainchild of NOAA Administrator Jane Lubchenco. Her initial act after taking office was to pressure federal fisheries regulators to approve the re-engineering of the groundfishery without delay. But NOAA’s own statistics show that the system has driven more and more quota into the hands of larger boats and corporations, with smaller, independent boats forced to the sidelines; in the first year of catch shares, Gloucester’s fleet alone lost 21 of its then-96 groundfishing boats, and the jobs they provided. In his original filing last Nov. 15, Gov. Patrick explicitly faulted the “catch share” system for making a bad situation worse. The downward spiral was triggered by two decades of conservation and ever-smaller government-mandated catch limits to meet to congressional mandates, and has accelerated by a series of government assessments this year leading to even tighter cuts in catch limits, notably for Gulf of Maine cod. Read the full story at the Gloucester Times.